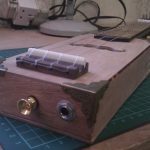 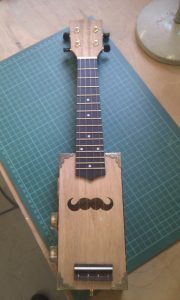 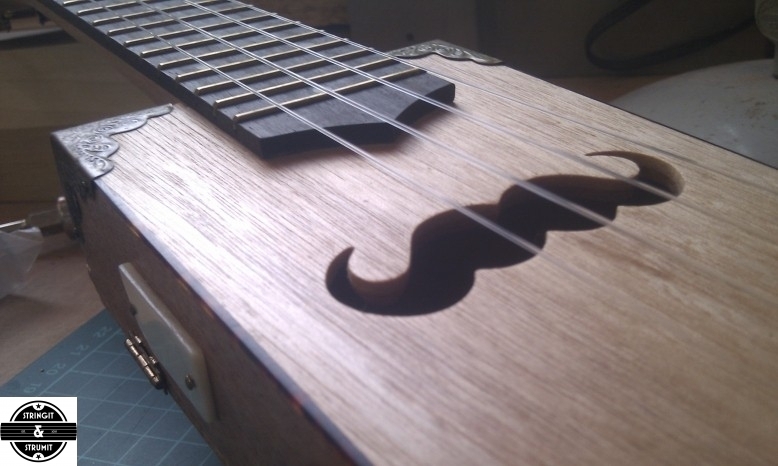 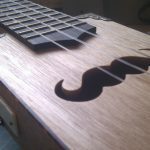 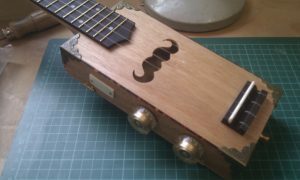 This soprano sized electric cigar box ukulele was custom designed to be as small as possible, used regularly for composing new material and as a travel ukulele by the Godfather of Chap Hop, Mr B The Gentleman Rhymer. 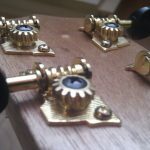 With faux tortoiseshell bindings, antique brass style decorative corners, Der Jung tuners and replica vintage Gibson controls. 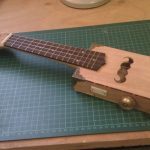 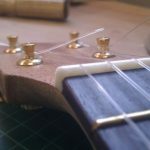 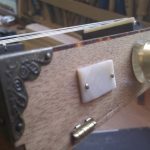 This was a challenging build due to the particularly fiddly natural, fitting all the components inside the small cigar box and maintaining the full soprano scale. 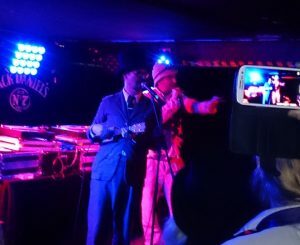 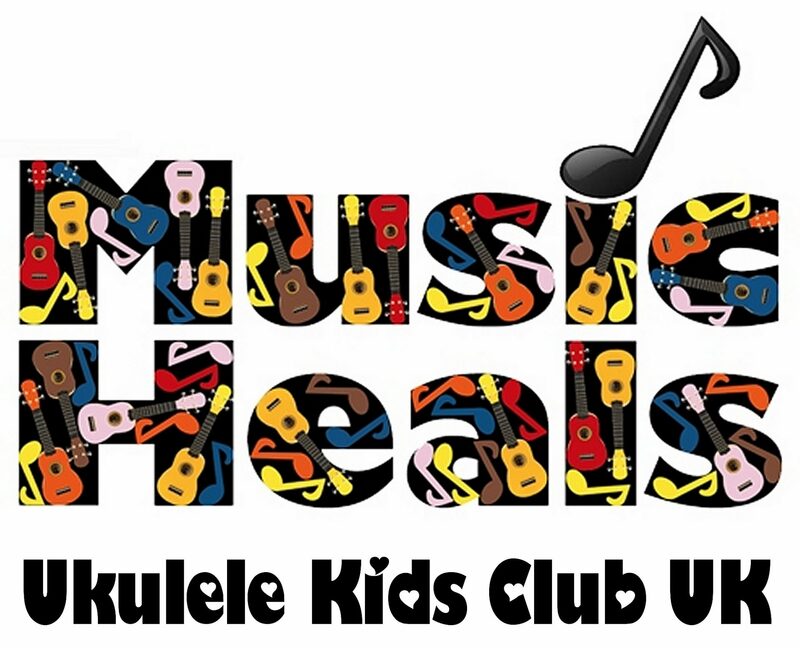 See below the uke in action during a gig in Brighton with Professor Elemental and a short video of Mr. B jamming with the Chapulele in the Stringit & Strumit workshop.